When the small tech accessory company This is Ground first launched the Cordito and the Cord Taco — clever little cord taming leather accessories named for Tex-anything-but-Mex fast food favorites, well we knew we liked these guys right away. Since then, their collection has grown impressively, and they’ve just launched the newest tech accessory I’m adding to my covet list: The Mod Tablet 2 leather iPad case. Mod, as in modular. Not as in groovy 60’s design. Or uh, Minecraft customization as my kids would assume. Handmade in LA from their trademark buttery-soft but sturdy leather, this is a more affordable version of their Mod Laptop organizer, only it’s specifically for tablets. It’s kind of like an old-fashioned leather day planner meets a Cocoon Grid-it, with a shell of a case that you can customize with modular inserts all sealing magnetically into the spine. 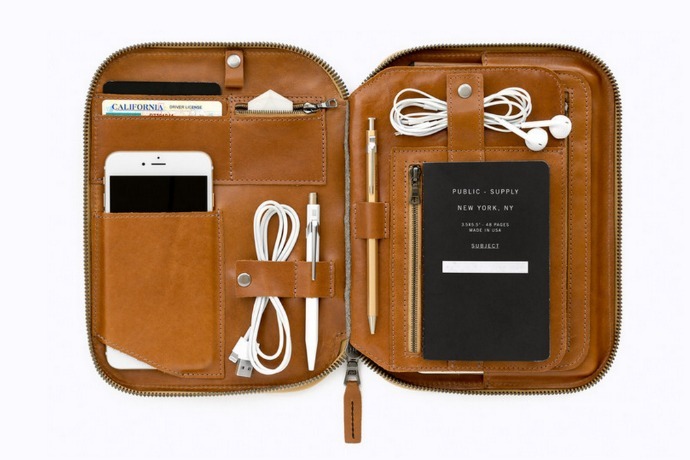 But ooh, just seeing how organized I could potentially be with one of these when I’m traveling? Bliss. The Mod Tablet 2 just launched this weekend and ships soon; perfect timing for Mother’s and Father’s Day. Should you know a tablet-loving, organization-craving mother or father in your life. Isn’t that all of us these days? 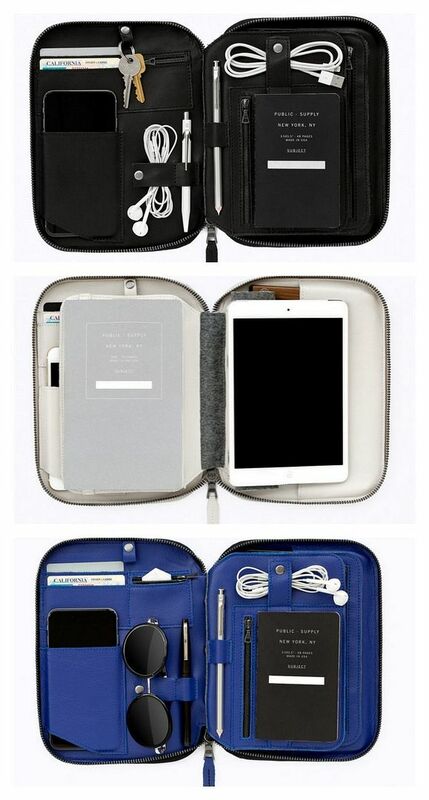 Order the Mod Tablet 2 leather iPad case from This is Ground in one of five colors. It starts shipping April 17. The Mod Tablet Air can accommodate the iPad Air, an Amazon Fire, Kindle, Nexus 9, or Galaxy Tab S; while the Mod Tablet Mini is suited for any of the smaller tablets up to 7 x 9.75-inch dimensions. There is so much room in the world for beautiful products that that make your life easier. Thanks for posting!